Marty Appel, the Yankee fan’s Yankee fan, has been a part of the team’s universe for nearly a half a century – or even more if you count his time as a young fan. He had personal contact with all of the legends, from Yogi, Casey, and Mickey to Rizzuto, Torre, and Jeter. Who better to teach your kids about the Yanks? Appel has captured Yankee magic and history in his magnificent Bombers history for kids, Pinstripe Pride. The book is coming out this month in paperback from Simon & Schuster. I caught up with Marty to get a sense of what Yankee tradition means to the ultimate Yankee traditionalist. 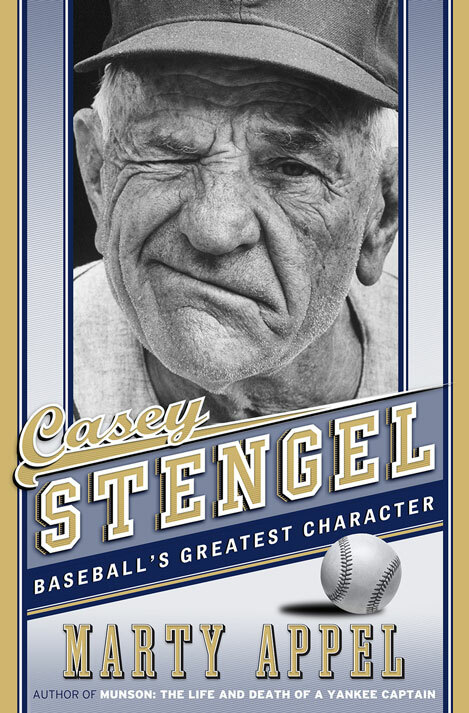 The first biography of baseball's greatest character (as named by MLB Network) in more than 30 years from Doubleday Publishing. What does a guy have to do in front of Yankees fans to get a little respect? Hit .325 lifetime?